Accidents happen. Sometimes it’s a small accident, like stubbing your toe. Other times, it’s a big accident, like a car crash. It could also be a sickness that keeps you home when you’d rather be working and earning money. The world is a crazy place, but disability income insurance helps protect you against some of the insanity. 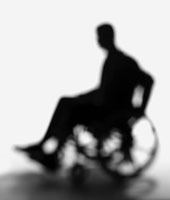 Disability insurance is a policy that pays you if you become fully or partially disabled and are unable to work. The disability can be short-term or long-term, including conditions such as pregnancy, arthritis, stroke, or accident recovery. Disability insurance pricing is based on your age, income, occupation, and any pre-existing conditions you may have. Click Here for Disability Insurance Quotes! If you were sick or hurt and couldn't work, how would you pay your bills? Your paycheck is a hard-working piece of paper. It keeps the mortgage company or the landlord off your back, it puts gas in your car, it keeps the lights on and helps you get food on the table. What would your family do without it? Disability insurance makes sure that money keeps coming to you if you can’t work due to a sickness or injury. It works like any other type of insurance—you buy a policy, make a monthly payment, and file a claim if or when you need to use it. According to a 2011 MetLife survey, more than 40% of Americans couldn’t meet all their financial obligations for more than one month without their regular, steady paychecks. One month. That’s all it takes to slip from comfort and regularity into a spiral of financial uncertainty. One month. But disabilities only happen to other people. It won't happen to me, right? Not necessarily. Disability is more common than you’d think—in fact, about 33% of people age 20 now will be disabled before retirement. Think about three of your friends…which one of them will be the statistic? Even seemingly ordinary things can cause disabilities. Routine surgeries and pregnancies can have complications that result in short term disability. 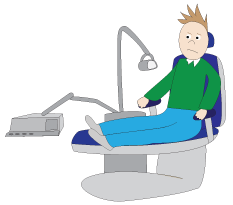 Conditions that used to be manageable, like arthritis, might become more difficult to control. Insurance companies have a definition for “disability,” which normally covers a medical condition that makes you unable to work in your field and drops your income by at least 20%. If you have to cut back your hours due to a pregnancy complication or a cancer treatment, for example, you may qualify for your short term disability insurance to kick in. Don’t forget—if you’re the one disabled, not only will you have lost income from work, but you’ll probably also have new medical bills to deal with. Do you really want to deal with a loss of income *and* an increase in your medical bills without a little help? How much does disability insurance pay me? We’ll be honest—it’s not going to replace your entire paycheck. It’s meant to replace a portion of your income to help you pay bills and maintain your lifestyle. Your long term disability insurance benefits will consist of a monthly check that you are free to spend as you see fit. Pay the mortgage, pay your kid’s tuition, renew your life insurance policy, or fill your fridge with healthy fixins that will help you get well. Keep in mind that most policies will have an initial waiting period, but so does the government’s Social Security program (see below). Doesn't the government handle disability insurance? You can't get Social Security disability benefits unless you'll be disabled for at least a year. In part, yes. 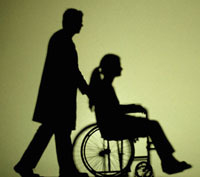 Social Security provides disability benefits for people who will be sick or disabled for at least one year. This is a hard-and-fast rule, and there’s no getting around it. To get Social Security disability benefits, you also need to have worked recently, and have worked for a certain number of years based on your age. While some people easily meet these requirements, others might not…and they won’t be able to collect from the government. I think I already get disability insurance through my employer. Isn't this the same thing? Yes and no. Your employer may offer either short- or long-term disability insurance, but you can also buy individual disability insurance to supplement what you have available through work. If you have a lot of bills (and don’t we all? ), doubling up on policies will provide you with more money when you need it. Also, remember that if you have disability insurance through your job, your job owns the policy—not you. If you leave that job, you will no longer have that insurance. If you have a policy on your own, it goes wherever you go, whether you find a job as an English teacher or a deep-sea diver or a truck driver. It’s going to be different for everyone. Disability insurance for individuals is priced according to your age, overall health (as seen in your medical history), job, and the kinds of benefits you want your policy to pay (what your maximum benefit period is, for example). The good news is that some providers have non-cancellable and guaranteed coverage available. As long as you keep making your monthly payments, your disability policy will remain in force until your 65th or 67th birthday, depending on your state’s rules, with no increase in the price. If you’re looking for hard-and-fast numbers, try this on for size. Unum.com posts this example: a 40-year-old man in a professional job brings home $50,000 per year. If he became disabled, he could expect to receive about $2,900 per month in disability payments, for the cost of about $142 per month. Unum: What Is Disability Income Protection?